Not every feature available in the market for your car is going to be helpful. Save money and buy a bare minimum car or own a safe and comfortable vehicle. Features in your car can make a world of difference in your life? Well, you've come to the right place for the answers. While customers are blessed with the option of choosing the convenience and safety features of their choice, it has also become harder to pick the truly essential ones from the seemingly unlimited choices at their disposal. One must remember that not every feature available in the market for your car is going to be helpful. There are some that are helpful for the drive and make driving more convenient. There are others that improve your safety in case you meet with an accident. So, in an effort to make your choices easier, your magazine AutoBild India has gathered together the must-have car features (in no particular order) to help you come to grips with what features are available, what they do, and why you should have them in your next vehicle even though they may add to the cost. End of the day it's your call. Save money and buy a bare minimum car or own a safe and comfortable vehicle. 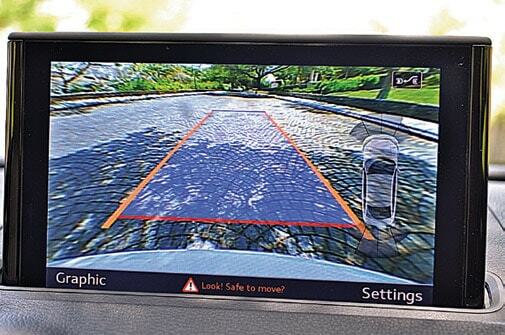 Many may sneer and say if you can't reverse your car safely, you better not drive at all. But in big cities, with chaotic parking lots and unreliable attendants, it is better to repose faith in a reversing system. A proximity sensor mounted at the back of the vehicle senses when the vehicle gets too close to an object and warns the driver. The system is automatically activated when you engage reverse gear. Small sensors send and receive ultrasonic radio waves, which bounce off obstacles and alert you to their presence. A beeper gradually increases in frequency as the vehicle approaches closer to the object. Airbags are now available in affordable cars. Crash sensors wired to an on-board computer trigger an airbag during a collision. The airbag inflates automatically to prevent occupants from hitting the dashboard, steering wheel or windshield. Side airbags reduce the risk of occupants injuring themselves during a side impact. Although airbags are optional, we recommend them. Who wouldn't want to customise driving comfort? Most cars have the seating and steering position designed considering an average driver. This setting puts shorter and taller than normal drivers at a disadvantage; the issue can be compensated by virtue of steering adjustments. A steering wheel adjustable for reach can be extended towards or away from the driver and the rake setting can lower or raise the steering wheel. The back window gets just as fogged as the front windshield; however, many cars do not get a rear window defogger as a part of the factory-installed accessories. The defogger clears the mist off your window and hence maintains good visibility. Without this visibility in the rear window, you will be facing a potential safety problem. ABS has been introduced in the hatchback segment in recent years. One has to pay a premium but then it's worth the amount as it prevents a car's wheels from locking up during "emergency" braking. Basically ABS allows the driver to steer the car and swerve away from harm's way even under hard braking. This is a key advantage of a car with ABS. However please also bear in mind that merely the presence of ABS is no guarantee of safety. So, drive carefully. Traction control utilises the ABS to detect and control wheelspin. Sensors monitor the speed of each wheel. If the system recognizes that a wheel is turning faster than its counterpart on the opposite side of the vehicle, it pulses the brake on the faster-spinning wheel in an attempt to transfer power to the wheel with better traction. Traction control can be a big help when you're driving on wet tarmac or other slick surfaces, and if a wheel spins when taking off from a stop. Adequate light is necessary for you to drive safely. Especially in fog inadequate lights mean that you drive blind. As fog lights produce a low but wide beam of light it penetrates through fog and produce less glare. It helps in improving vision in ugly weather not only in fog but in rain also. Yellow fog lights are considered better because they only emit one part of the light spectrum and scatter less. There are a variety of lights available including HID and xenons. There aren't many cars available where any of the following features will be the only differentiating factor between one variant and the next higher one. However if your decision to buy is based on the presence of these then we would say that the features listed are mostly a waste. Roof rail: How many times have you seen people carrying a ski, or surf board or a bicycle on the car's roof? In India we have neither the culture nor the facilities for pursuing these recreational activities. As far as installation of a carrier is concerned, you can do that even without the roof rails. 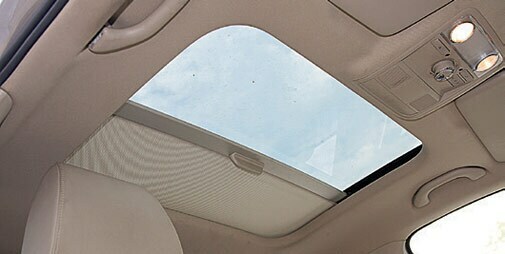 Sunroof: In a predominantly hot and sunny country like India, one wants to have smallest glass area to reduce the greenhouse effect. You pay so much for a sunroof that you will hardly use; it just doesn't make sense. Gear indicator: Although a gear indicator can be useful, even in a manual, if you want to optimise your gear shifting, it is not important enough for you to buy a car solely for its shift indication function. Heated seats: While in north India winters can get really cold, they don't last very long across the country. A car's normal heating system is usually enough for most Indian conditions. Cruise control: You live in Rajasthan? Please ignore this little bit. For the rest of you who are not blessed with straight and empty roads the cruise control feature is of no use, since you will not be able to use it in a majority of places after from that one time in the year when you decide to drive down for your holiday.